Summer is a time for vacations, swimming, barbecues, and adventure. Things typically slow down a bit during the summer months, and we find that we have more free time available. That’s why summertime is a great time to start dating and to focus on finding true love. Having free time to enjoy the summer can be a double-edged sword. Having more free time enables us to notice emotions and feelings we may otherwise brush aside. Discomfort and loneliness may become more noticeable when we realize that haven’t been working towards starting a new love relationship or releasing our inner playfulness and fun. We usually head into summer feeling one of these two ways. We may look at things from the optimistic, “glass half-full” perspective and feel excited about starting to dating, anticipating some hot dates in the near future. 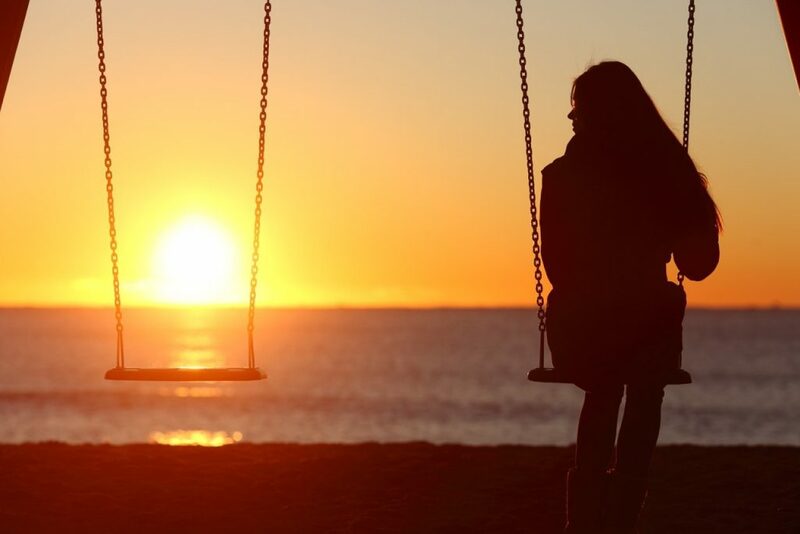 Or we have the pessimistic, “glass half-empty” perspective and feel sad about being alone without someone special, and feel dread about heading into the summer. Truthfully, most people are some combination of both of these. But whichever viewpoint you identify with more, be sure to see the other side of things, too. Embrace summer as a time for new beginnings and endless possibilities. Many people feel like another summer will just come and go, leaving them in the same lonely place, and feeling like there’s nothing they could do about that. They’re stuck in their rut, and they don’t think there’s a way to change their relationship status. So everything stays the same as they go about their summer. The key to finding summer-time love—or any-time love, really—is to manage your expectations. If you have unrealistic expectations, you’ll only face more problems. There are two very different ways you can have unrealistic expectations. Some people never seem able to find a relationship because their prospective partners could never live up to the expectations they have. They can only see negative qualities, so they don’t see positive qualities in other people, even their dates. Other people jump head-first into dating, and make long-term plans and commitments way too soon, before they’ve really gotten to know their partner. Whether you’re an optimist and excited to start dating, or are a pessimist filled with dread and anxiety, it’s important for you to go into summer dating with an open heart and an open mind. If you’re looking to find “the one,” here are some tips to help get you motivated. When you first meet “the one,” you likely won’t experience a rush of butterflies in the stomach, hormones … um … lower, or the typical fanfare depicted in movies and books. You may only recognize them by a gentle tug on your heart. Instead of seeking that “spark” or an instant attraction, be watching for that gentle feeling inside. Start out by building a friendship together, with no expectations for something more. If the person is really “the one,” it will become obvious to you over time. Relationships are usually not as they appear in books and movies. In reality, people fall into genuine love slowly. Instead of a “happily ever after,” they live “fully ever after” and have a rich, full, and healthy life together. Things like that take work, effort and time.. Relationships don’t appear as they do in books and movies, so make certain you’re taking a realistic approach when you date and meet new people. It takes a long time to truly get to know somebody. Humans are not simple beings. We’re complex. People have multiple layers and facets to them , so it can take a a long time to really get to know somebody. Allow yourself enough time to make certain that you’re really learning as much as you possibly can about your partner. Relationships are living things that need space, care, and love. Generally in relationships, people either ignore each other or smother each other. Neither are ideal conditions for a relationship to thrive. A healthy relationship needs consistency, attention, and time. Successful relationships are worth all of the effort. There’s nothing like being in a loving and supportive relationship. A positive, healthy relationship is totally worth your effort. When you find one, you’ll be truly understood. Your partner will love you unconditionally, despite all of your eccentricities or flaws. This feelings is one of the best you’ll ever feel. So, what are you waiting for? Start going on some dates!